Look for the Y3K Tutor In Your Home tutoring and test preparation certificate at the Waldorf School of Lexington’s Spring Party & Auction this Saturday. Your bids will help the students at this school. 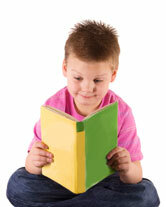 Y3K Tutor In Your Home tutoring and test preparation: What you discover will be yourself. Although the SAT tests are optional to get in to many colleges, high test scores can be an advantage when applying. Many college admissions specialists recommend high school students take the exams only if they expect to score well. Strong scores on the SAT and ACT exams will help you, but these colleges won’t hold it against you for not taking them. True or False: The longer you study in one sitting, the higher your score will be. False. The key to studying is to study smart or more efficiently as opposed to studying longer. Many students do not know how to study efficiently and waste a lot of time. Successful students tend to figure out what the teacher has deemed most important and that is what they study. These students don’t study everything, just what is important. Students that tend to earn “C”, “D” and “F” grades try to study everything, which automatically means they probably haven’t spent enough time studying the important material. Y3K Tutor In Your Home tutors teach the most efficient ways to study each subject. When studying goes the wrong way, call Y3K Tutor In Your Home today!